Want to see my Top Ten Books of 2017 then read my previous post HERE. After a dismal year where I only managed 29 from my 50 book Goodreads Challenge, I’ve decided to lower my target to 35 for 2018 and take my time over the books I have on my list. My freelance writing career is starting to grow, and my new publishing contract kicks in this year, so I’ve got a lot to think about. Instead of reading everything as fast as I can, I want to relish the words, get lost in the story, and enjoy the books I choose. So, what do I have on my list for 2018 so far? There’s a mix of old and new titles as well as a blend of traditionally and self-published books from authors I love as well as a few new names. I’ve had some of these books on my must-read list for a while but haven’t managed to get to them. There’s nothing worse than looking at a fabulous cover every day and not having the time to pick it up and lose yourself in the story – 2018 is going to be the year it changes! What’s on your list that you’re excited to read this year? Thanks, Rosie. 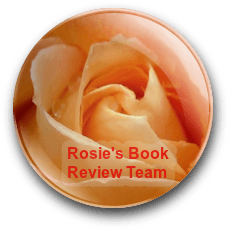 Looking forward to getting my hands on some of the great selection of books you have on the Rosie Amber Review Team list too! I’ve set a lower target on Goodreads so hopefully I’ll make it this year! Well… my book that I started yesterday…. happens to be… Oath Breakers!! Other than that I have an eclectic mix of indie and traditionally published books ready to read on my kindle and no doubt more will end up on there as the year goes by! Oh, and maybe… just maybe… my own book will be ready for others to read this year too!!! The autobiography of Henry VIII sounds interesting, but there are just too many Tudor novels about. I read one last year, but it feels as if I read more. The book I’m most excited about this year is Troilus and Criseyde, because it’s my first venture into Middle English. Sounds great, April. Terry Tyler recommends the Tudor novels by Gemma Laurence which I’m yet to try, but if TT thinks she’s great then that’s good enough for me! I know she likes Gemma Laurence’s work and it is a good recommendation, but I’ve already got one Tudor book to read this year. I’ll probably squeeze in one of Gemma’s as well, though. I think I need to do that too! Hope you get through them all, Lost Boy is still on my TBR as well! I’ve started it and I’m loving it so far! My list has yet to define itself into any real shape… but I am hoping for an eclectic mix of genres, authors, and publishing styles. Quite excited to see what the year has in store! I am just about to compile what I read last year, but you have got me thinking about what’s on the cards for this year. I know I am going to read The Weather Gods by Susan Louineau as it has been a long time coming and I am fortunate enough to beta read it (yay! ), some of the John Grishams I missed, as well as Tracie Banister’s sequel Izzy as Is. Plus I have a stack of Michael Connellys to read. I didn’t read many crime novels last year. Plus, I have given myself a new target of having to read a book by a previously unread (by me) author every fifth book!!! But I will now make a list (like you, I love making lists!) and leave room for a few that come out during the year. Ha ha, I do love a good list writing session 😆 I like the idea of reading a new (to you) author every fifth book. Shelley! I’m so delighted to see Patient Zero on this list…. it will only take a couple of hours and might be a way of easing yourself back in gradually, ha ha! I notice you have histfic on your list!!! Unusual…. having read the comments, may I also Judith Arnopp, Deborah Swift and Ann Swinfen as the best histfic authors around. I’ve tried a lot of other newer ones on Kindle and they’re sometimes a bit ‘pop fiction’ or not that well researched. I have Hit the Road Jac on my list too – if only we’d didn’t have to WRITE books, we’d have more time to read!!! Currently reading Bear Medicine by G Elizabeth Kretchmer for RBRT, and it’s really good. After that it will be a Burke book by Tom Williams…. then another RBRT! I still need to pull my 2018 reading together and have pinched the Dare to Do one from your list to get me going, thank you! I don’t read fiction books, so I always struggle to find a non-fiction reading challenge.